Located in Kingston, Ontario, R.K. Sheet Metal is a management and consulting firm. They specialize in sheet metal contracting and fabricate for all of your sheet metal and ducting needs. RK Sheet Metal has been a user of MultiCam’s V-Series Plasma since May 2012. The president, Robert King, has already seen immense improvements in their production abilities. The MultiCam V-Series Plasma is designed for companies seeking maximum value in a CNC plasma machine. It is ideal for entry-level manufacturers and low volume contractors like RK Sheet Metal who work on a budget. It is capable of cutting gauge material, mild steel, stainless steel, aluminum and brass, and offered in a variety of popular table formats. It also comes standard with Hypertherm plasma cutting torch technology and the extraordinarily easy-to-use CNC EZ Control system. This competency of the V-Series has made it “capable for us to a lot of work in a short period of time” according to Robert. Although they “use it all the time”, Robert mentioned one of the big jobs they did was for Perth Road Public School. They fabricated the new HVAC upgrade and the MultiCam V-Series Plasma allowed them to complete a job with large scope in the limited time. 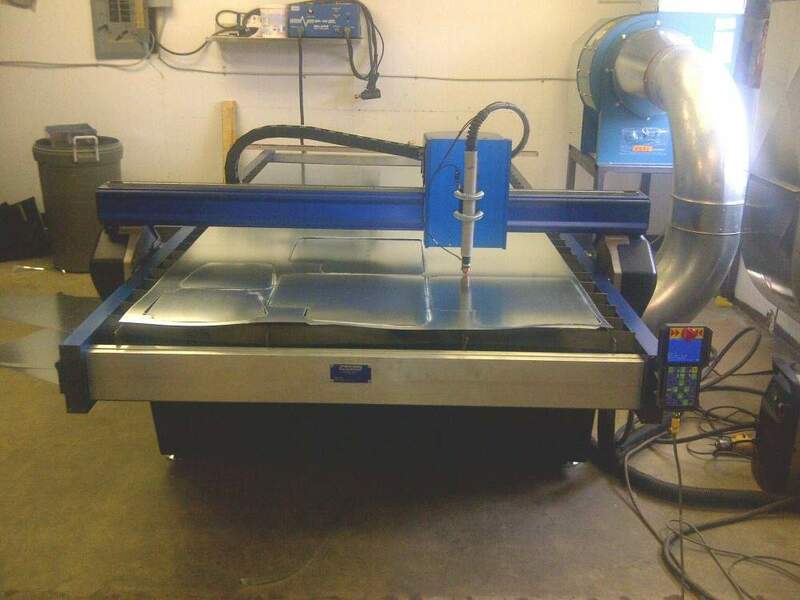 This was the ideal machine for RK Sheet Metal to integrate into their production facility in order to help them streamline their larger manufacturing processes. The MultiCam V-Series Plasma is recognized for providing results in terms of productivity. As expected, RK Sheet Metal saw improvements in production and efficiency. Robert said the MultiCam V-Series Plasma “saved me 20-25% on what I would normally spend on labour and it saved me 15% on scrap cost”. It not only reduced his costs, but it was able to increase his productivity by 25% as well. All of the above savings and improvements occurred within just less than a year! These results keep RK Sheet Metal more than just satisfied with their purchase.